VVDI PROG work with Mart Tool to do Range Rover FK72 All Key Lost progrmming. Finally write back to KVM. Dismantle the FK72 box from the Range Rover. 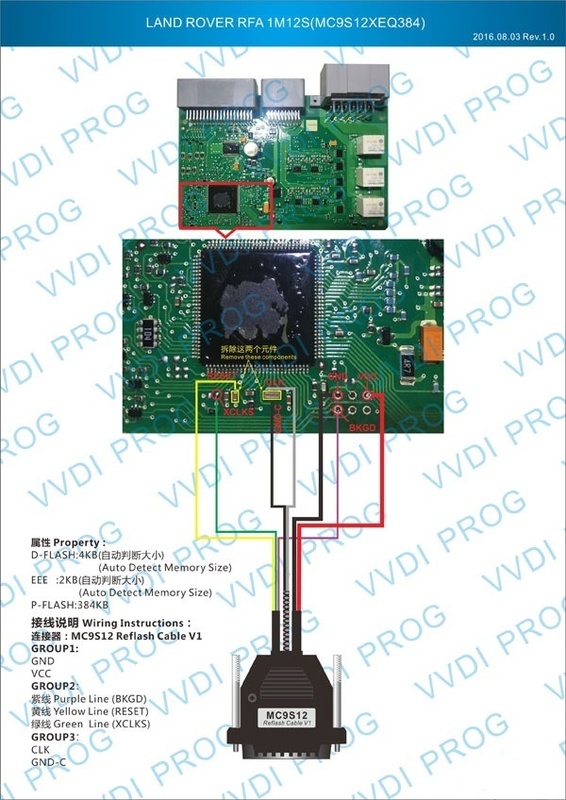 Open VVDI Pro to follow the wiring diagram to remove the components (6 in total) and then welding wire. Plug the MC9S12 Reflash cable to VVDI PRO and start to read out the D-Flash and EEE data in the KVM. Later I will encrypt the “Chip unencrypted (FE)”. First read out D-Flash and save, then EEPROM and save. Load KVM_EEPROM and Load KVM_Dflash. Put the key on the Mart tool. Select “Detect” and read out the Key ID. Use Mart tool to generate new key and data. Select ” Generate dealer key”. Save the key info for two times. Finally write the data back to KVM. The data is processed successfully, please write back the data to the KVM. File, key 3…… Write successfully. Write the key data, maybe you need to do it for one more time. Start to encrypt the FE and complete. Use the air gun to blow off the wires. Weld back the chip “GND-C”. PS: this chip is easily broken, please back up more than one piece for replacement. Install the chip board into the FK72 box. Plug the FK72 box back to the Range Rover car. Press the key to start the car. 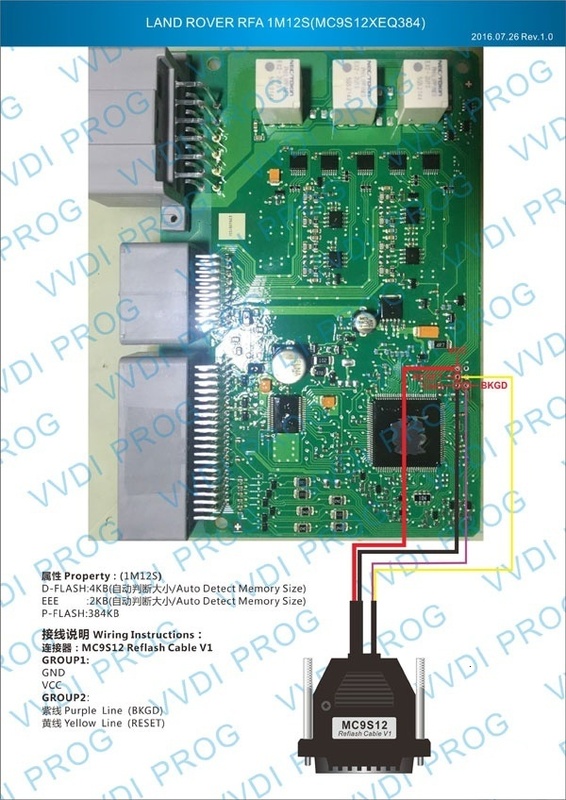 VVDI Pro + Mart Tool is perfect for Range Rover FK72 all keys lost. VVDI2 VAG All Keys Lost, How to? Previous Previous post: VVDI2 makes spare key for BMW 1-Series 2012?